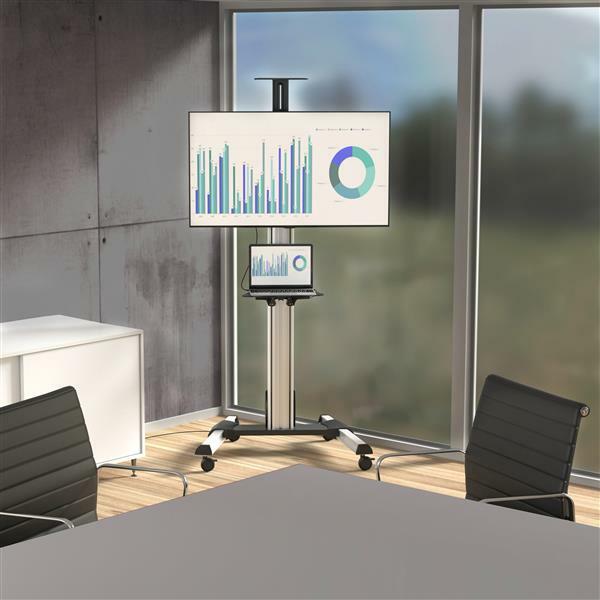 This portable TV cart makes it easy to create a mobile media center, providing a convenient and cost-effective way to share A/V equipment between rooms. 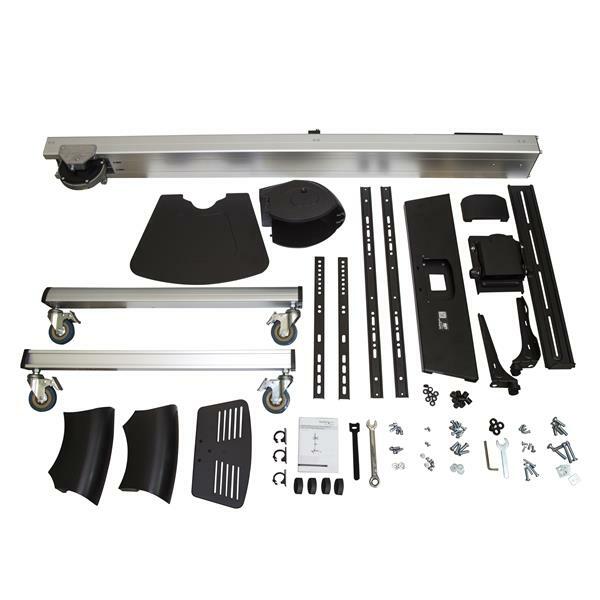 Engineered with a sleek and sturdy design, the TV cart provides a secure mount for a 32" to 75" TV (with maximum weight of 88 lb./40 kg) and a removable multi-media shelf for placing your computer, media player or keyboard. 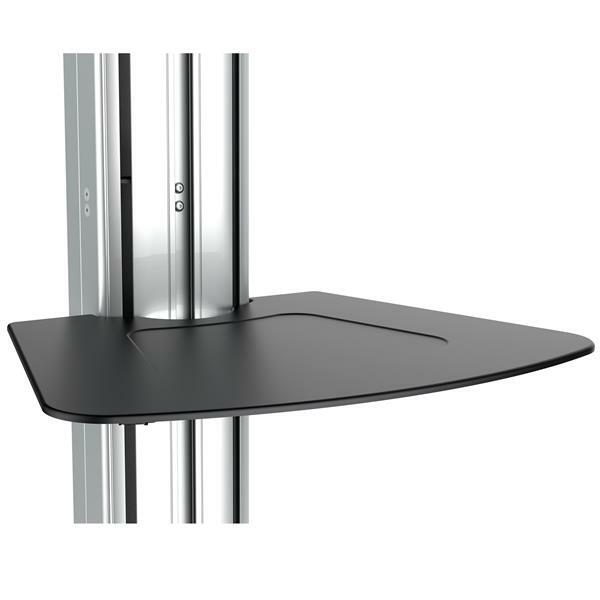 It also includes a camera shelf for web-conferencing. 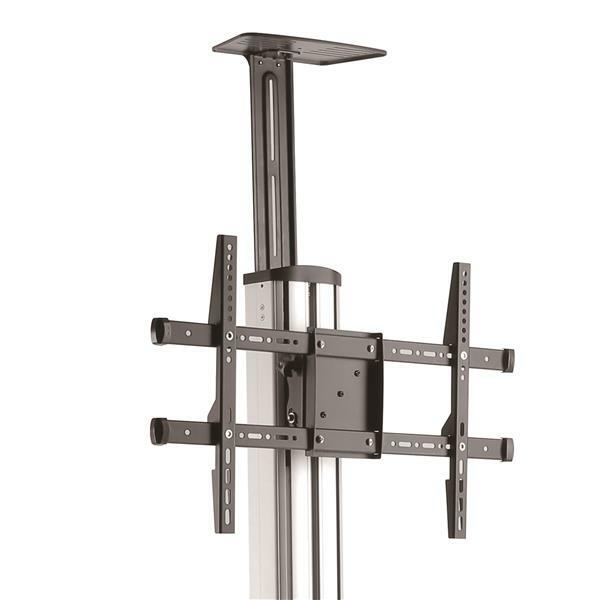 The mobile TV cart saves you the cost of buying multiple flat-panel TVs. 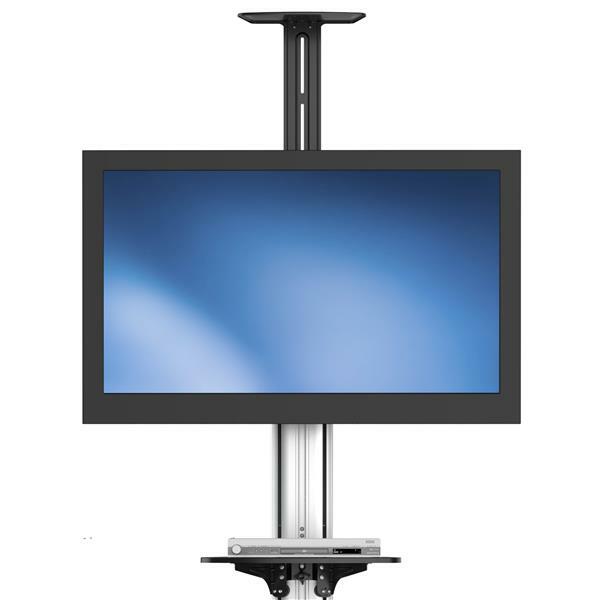 Simply roll the TV cart between boardrooms, classrooms and meeting rooms, to share your media equipment. 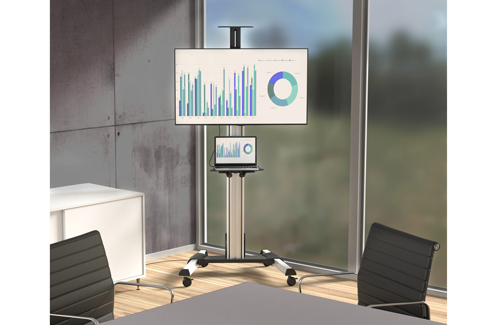 The cart features a small footprint that enables you to stand close to the display, while delivering a presentation. You can also set up a display in your lobby during special events or set up a permanent display in areas where you can’t wall mount. The wheels are lockable for stationary use. 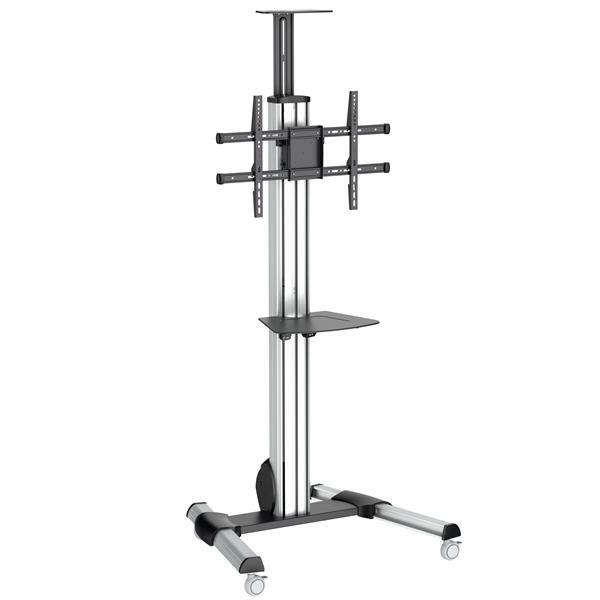 With the TV cart’s spring-assisted height adjustment, you can raise or lower the display mount with one smooth motion, from a minimum height of 3.6 ft. (1110 mm) to a maximum height of 4.9 ft. (1510 mm) - a lift of up to 15.7 in. (40 cm). 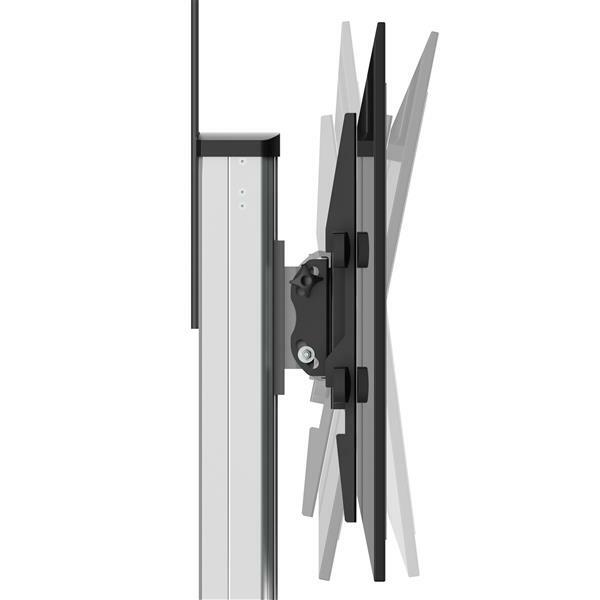 The TV mount rotates up to 90 degrees, so you can change the position of your display from landscape to portrait. You can also tilt your TV +5 to -12 degrees, to find the optimal viewing angle. 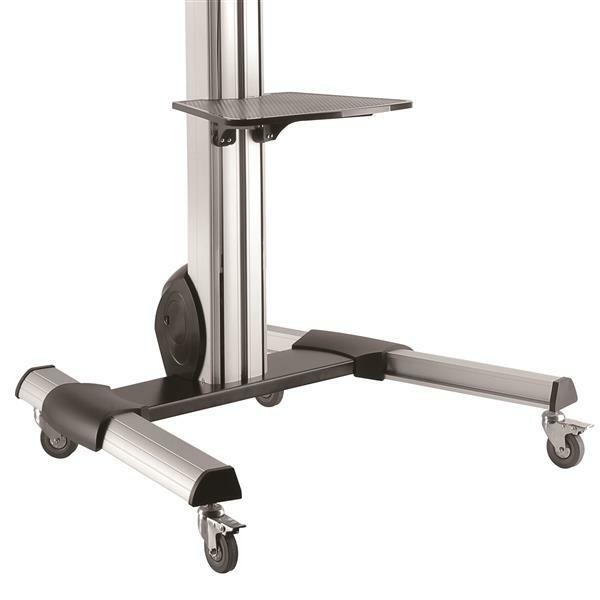 The TV cart’s durable construction makes it ideal for commercial use, in environments with multiple users and frequent movement between meeting areas. Built-in cable management keeps your cables organized and hidden from view. Note The TV cart supports TVs weighing up to 88 lb. (40 kg). 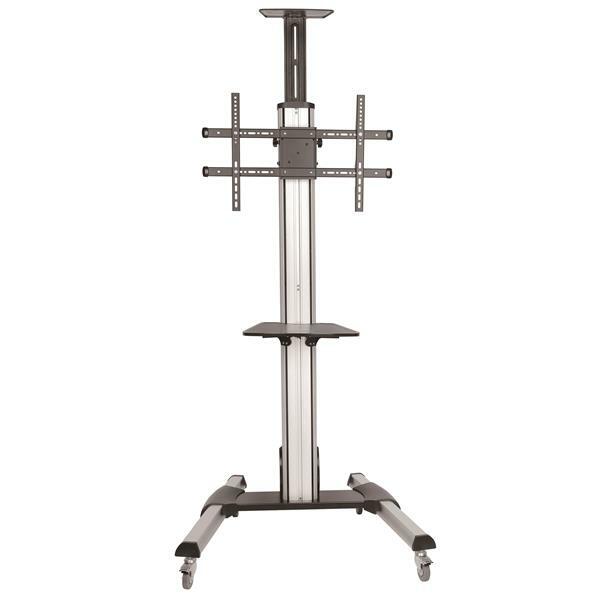 The TV cart also provides smooth spring-assisted height adjustment to make it effortless to change the height of the TV, along the column, for TVs weighing up to 55 lb. (25 kg). For TVs with a weight greater than 55 lb. 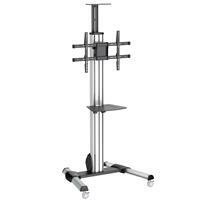 (25 kg), additional manual effort will be required to reposition the TV along the column.